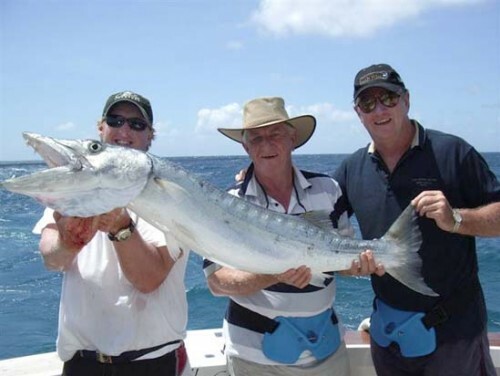 Castille Charters and its crew cater for all kinds of sports fishing and personalized charters from Cooktown, Lizard Island, Cairns and Townsville in North Queensland all the way down to the Gold Coast and Port Stephens in the south. We use a mothership so we can get to the best locations. Depending on the time of year will depend on where we are as we want to fish the best place at the best time. 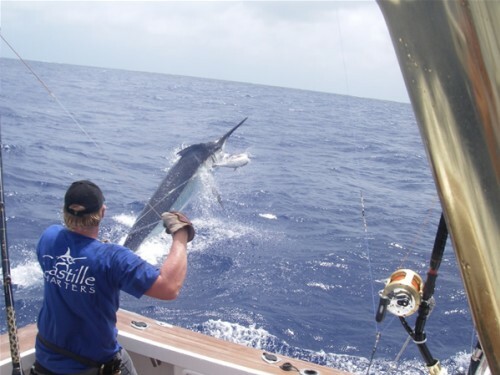 We offer the opportunity to catch 1000lbs Black Marlin off Cairns; Jig for Dog tooth Tuna, Cobia, Kingfish, Trout and other deep water species; popper for GT, trout and other Pelagic species on the reef through to light tackle and Fly fishing in Townsville, down to the Gold Coast and Port Stephens for Marlin and Sailfish. 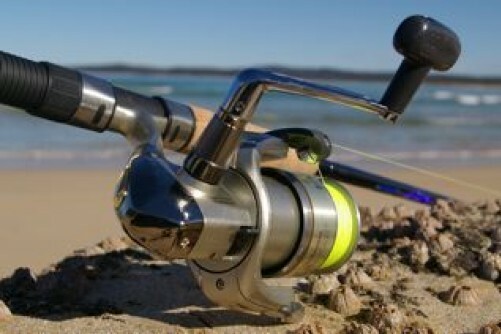 For the ultimate adrenalin buzz with fishing go fishing for Giant Black Marlin of Cairns, Cooktown and Lizard Island. Cairns/Cooktown/Lizard Island – September to December using heavy tackle. 70% of all the 1000lbs Black Marlin are caught/released on the Great Barrier Reef when the females come to spawn. We also snorkel on the reef, bait fish, jigging and popper for Scad, Mackerel, Yellow fin and dog tooth tuna, coral trout, queenfish, Giant Trevally and of course Giant Black Marlin. We usually finish fishing and head to our anchorage behind the reef about 6 PM each night. This area provides great light and heavy tackle fishing for Black Marlin, Blue Marlin, Striped Marlin, Wahoo, Yellow Fin Tuna and Mahi Mahi. Cape Bowling Green just 30 miles east of Townsville is renown as one of the best light tackle marlin grounds in the world. There you can get more than Juvenile black Marlin, sailfish, tuna and mackerel. Port Stephens is just 2.5-hours drive north of Sydney is one of Australia’s most picturesque and action packed fishing areas. Here you can get Blue Marlin, Black Marlin, Striped Marlin and more. 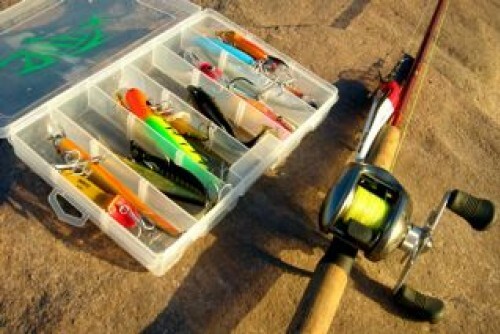 Sports Fishing Sports’ fishing is most kinds of pelagic fishing. We usually start the day with some overhead sports fishing for Tuna and Macerel as that’s the bait we use for the 1000lbs Marlin. So even fishing for bait is fun. Fly fishing is no longer for catching trout and salmon, but with heavier tackle and wet flies resembling baitfish is employed today for a wide variety of species from marlin and sailfish through to bonefish, Dorado, sailfish, tuna and tarpon. We cater for all levels of experience. Popper fishing is one of the most exciting forms of fishing and we do it by backing up to bait schools or the reef where you cast your popper in to the bait or reef. It is all done by sight so you get to see every bite and are therefore in the action. We usually target GT, Blue Fin and Tealeaf Trevally, coral trout, mackerel, and Maori wrasse. We often Jig for dog tooth tuna, amberjacks, king fish, giant trevally, trout, emperors, and many other species in deep water up to 200m deep as a warm up for Marlin fishing. We use spin or overhead reels with short rods spooled up with 50 to 100lbs braid but still cant stop everything. We offer corporate charters from any of our locations and can be tailored to suit your business requirements. Price: $3300 per day is standard but it is personalised. Departure Point: August/September Townsville. October to December Cairns. December to July Gold Coast . Inclusions: Quality rods & reels, bait, food and accommodation if you are on a live aboard charter. Also standard drinks. We have a 47 foot Obrien “Castille III” which is powered by twin Cummins QSM11 engines rated @ 660 BHP. Castille III can cruise at 26 knots with a top speed of 31 knots. This means we are extremely fast which gives more fishing time. Dean started sportsfishing at age12 in Brisbane, Queensland. At 15 he was charter boat fishing with local Captains and crews in the Brisbane/Gold Coast area. In 1987 Dean had his first season in Cairns on a boat called Blackwatch. The year after he was crewing for Geoff Ferguson on “KAMARI” where he stayed for 5 years. In 1989 Dean started fishing in Japan and Hawaii for 3 months a year where he continued for 12 consecutive years. In 1992 Dean got his Master 5 ticket which allowed him to captain boats for different customers. Dean’s very first charter boat “Toompani” where he worked with owner Richard Cavill for 3 years. In 1995 he purchased “MAUNA KEA”. In 2006 Dean he met Mark Ripper and designed “Castille III” a custom O’brien Boat which he runs today.